It’s that time of year again at our house and here on the blog. 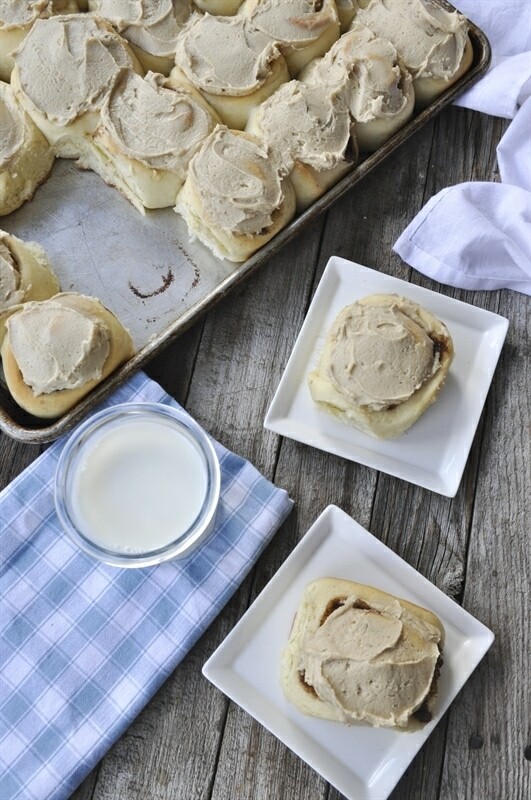 You can pretty much count on me posting a new cinnamon roll recipe twice a year, in April and in October (or almost October) I’ve talked about this family tradition here on the blog before, just about every April and October when our church broadcasts it’s annual General Conference on TV and we stay home in our jammies and watch church on TV and eat cinnamon rolls. 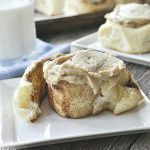 Be sure and scroll down below to see a roundup of all the yummy cinnamon roll recipes I’ve shared over the years – there’s a lot of them! 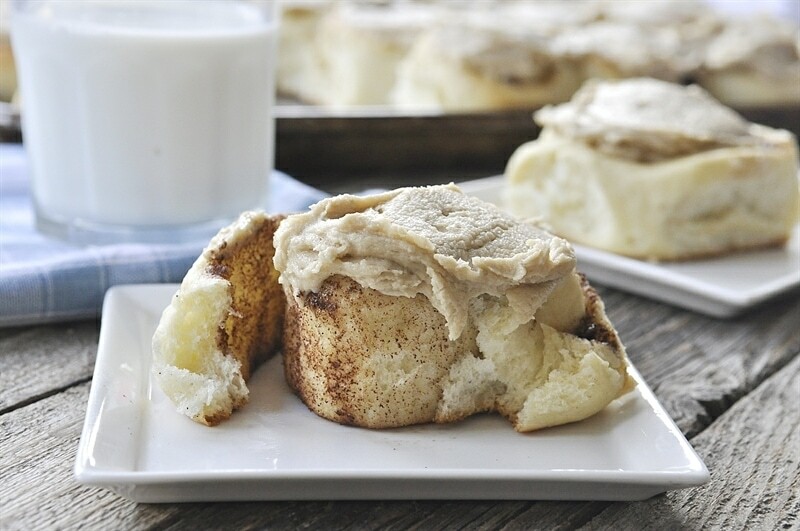 Today’s recipe is for Amish Cinnamon Rolls. If you have ever been to Amish country you will have learned one thing, the Amish can cook! When you visit, be sure and visit an Amish restaurant. All the food is served family style and there is a lot of it, and I mean ALOT! My teenage boys thought they had died and gone to heaven. One thing you can count on there being is mashed potatoes. 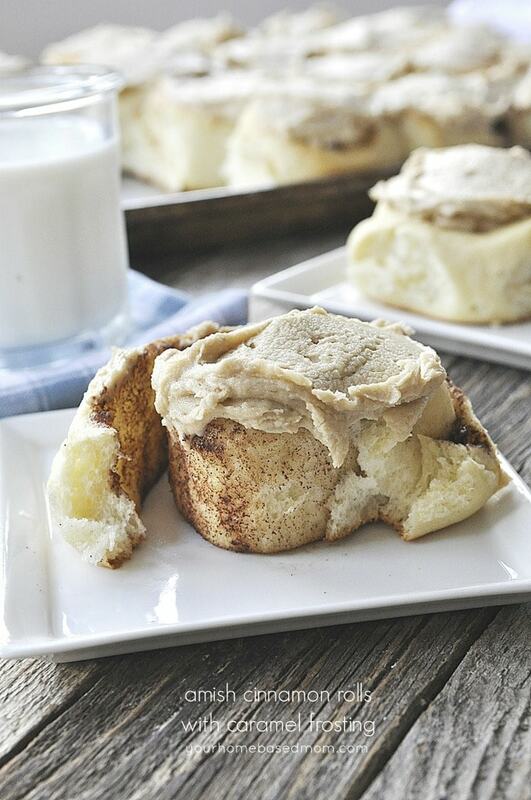 Leftover mashed potatotes are the secret to these delicious cinnamon rolls. The addition to potatoes to bread makes for a very soft, light texture. When I decided to make these cinnamon rolls I only had one problem. I didn’t have any leftover mashed potatoes. So I decided I would make some mashed potatoes so I could try the recipe but I had another problem, I don’t make mashed potatoes. I know, a food blogger that doesn’t make mashed potatoes. Crazy! For those of you who have been reading my blog for a while you know I don’t eat potatoes, specifically mashed potatoes (I have texture issues) but my husband and my kids love mashed potatoes so if we have mashed potatoes at our house it is because my husband makes them. He is the mashed potato maker and he wasn’t home so I decided I better figure out how to make them. Fortunately for me, they aren’t too hard. When my husband came home and saw that I had made mashed potatoes he was pretty shocked! The fact that they tasted pretty good was even more of a shock I think!! Thanks to the mashed potatoes the dough is so soft! 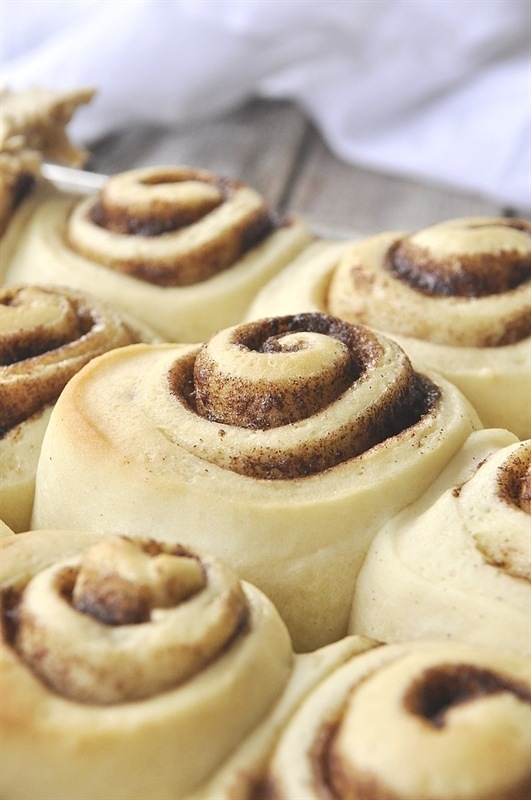 The recipe makes 24 good size rolls so it fills a large baking sheet. If you have questions about working with yeast check out this blog post I did. After you bake them let them cook a bit before putting on the frosting. The frosting on these babies is AMAZING!! 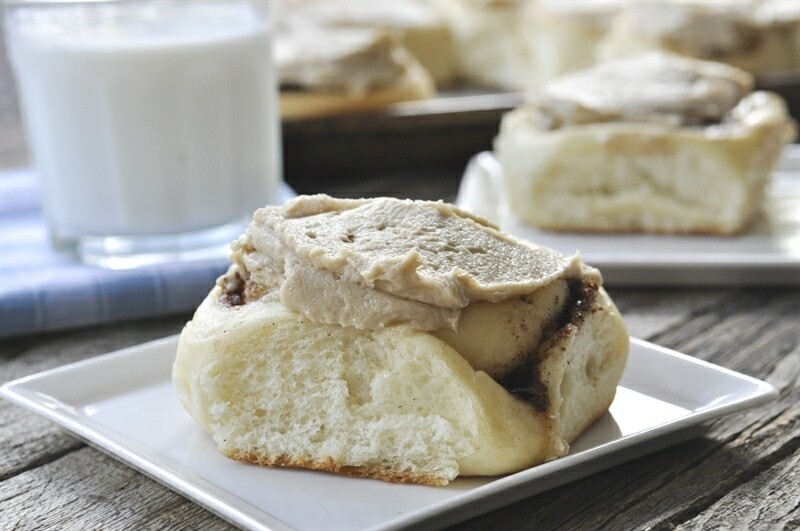 You should make these rolls just so you can enjoy this delicious caramel frosting. I love caramel frosting (remember that caramel cake I shared a while back!?) Slather that frosting on! My one cinnamon roll rule went out the window with these babies so I quickly packaged some up to share with the neighbors so I didn’t consume the entire pan. My neighbors are always so grateful when I share treats with them but they are really doing me a favor and saving me from eating them all! Add yeast to 1/2 cup warm water. Stir and let sit for 10 minutes until it bubbles and activates. In a bowl combine 1 cup all purpose flour, powdered milk, sugar and salt. Add yeast mixture, oil, egg and remaining water. Add in remaining flours, one cup at a time. Use a dough hook to knead or do by hand. Knead until dough is smooth. It will be tacky but not sticky. Grease a large bowl and place dough in bowl, flip dough to grease both sides. Cover with plastic wrap or cloth and allow to rise until double in size, about 1 hour. After it has doubled, punch down and divide dough in half. On a floured surface, roll out each piece of dough into a 12 x 8 inch rectangle. 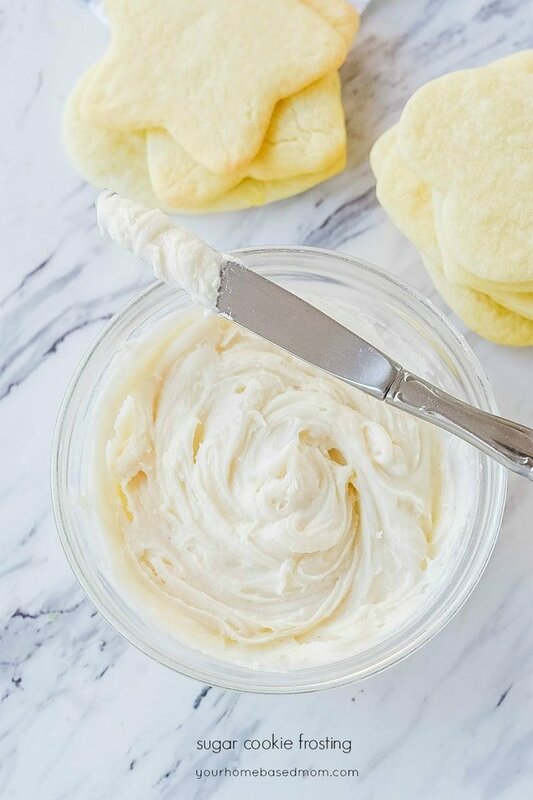 Combine filling ingredients in a bowl and mix until it is spreadable, can warm in the microwave if needed for about 20-30 seconds to soften. 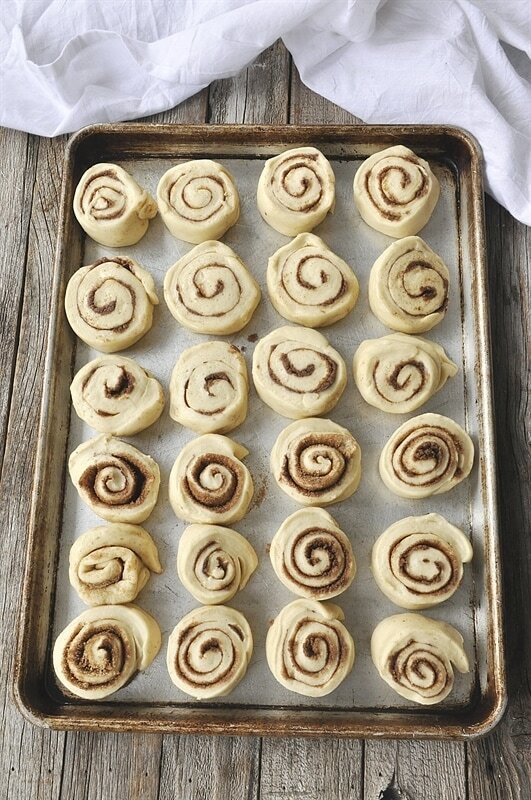 Spread each piece of dough with half of the cinnamon mixture. Starting at wide end roll dough up tightly. Pinch the seam to seal the dough. Using a serrated knife or a piece of thread or dental floss to cut each roll of dough into 12 pieces (1 inch each). Place on a greased baking sheet and cover and allow to rise in a warm, draft free place until double, about 30 minutes. 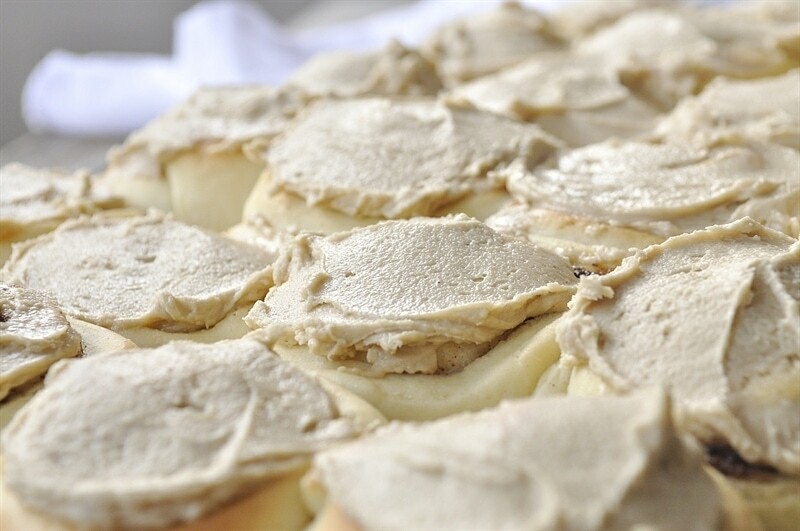 While rolls are baking make frosting. Add in brown sugar and salt. Cook on low for 2 minutes, stirring constantly. Add milk. Remove from heat and add vanilla. Let cool and add powdered sugar, mix until smooth. Spread over rolls once they are cooled. 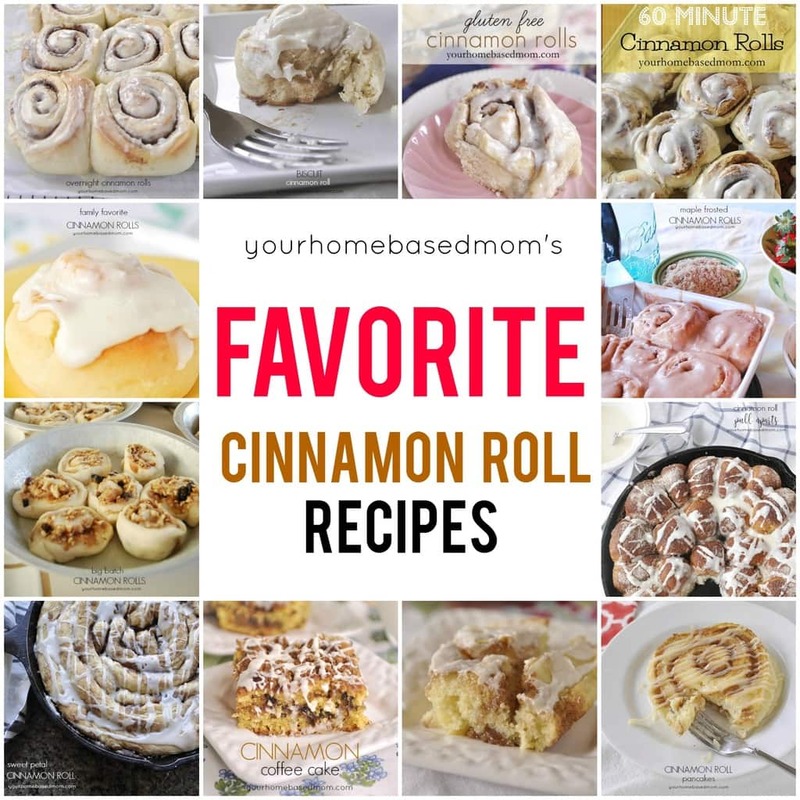 Check out my other favorite cinnamon roll recipes! Want Tips for working with Yeast? Want my Top 10 Tips for working with yeast? Enter your email below and get the printable download instantly! You'll also be subscribed to my newsletter so you can stay updated on my latest recipes. Well I just found you and would love to learn to be a better baker, I really never work with yeast it is intimidating to me. i’m not a young think either hahaha. I’m going to try these rolls soon I think. Here is a post I did about working yeast that might be helpful. It’s easier than you think! 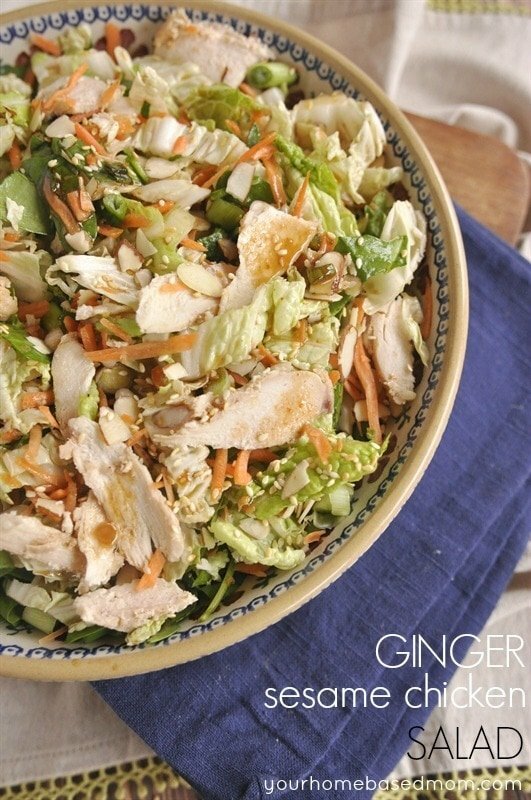 This recipe sounds scrumptious! I do have one question… What temp should the mashed potatoes be? Do you want them to be hot, warm, room temp? I didn’t see any notation in the recipe. Good question – room temp is fine. Don’t want them cold to cool down the yeast. Can you make these up to step 10 in a bread machine using the dough setting? Michelle, I have never worked with a bread machine so I’m not sure but it’s probably worth a try. Let me know how it works! Hi, is there any way to substitute for the powdered milk? Can I use regular milk in place of the water and powdered milk? Thanks! Jenna, Sure, that should work fine. Can the potatoes be instant potatoes? 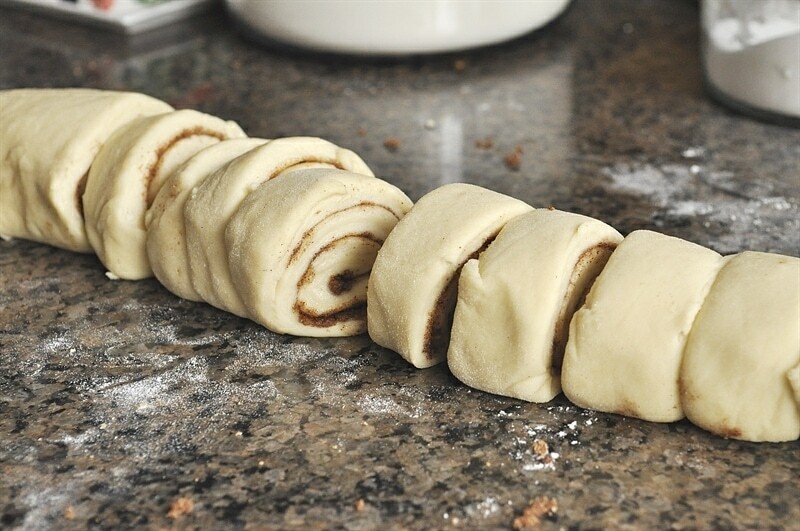 Can you divide the dough and freeze the other half or else roll them out, cut them and then freeze for a later use? I have never frozen this dough so I’m not sure. Worth a try though. 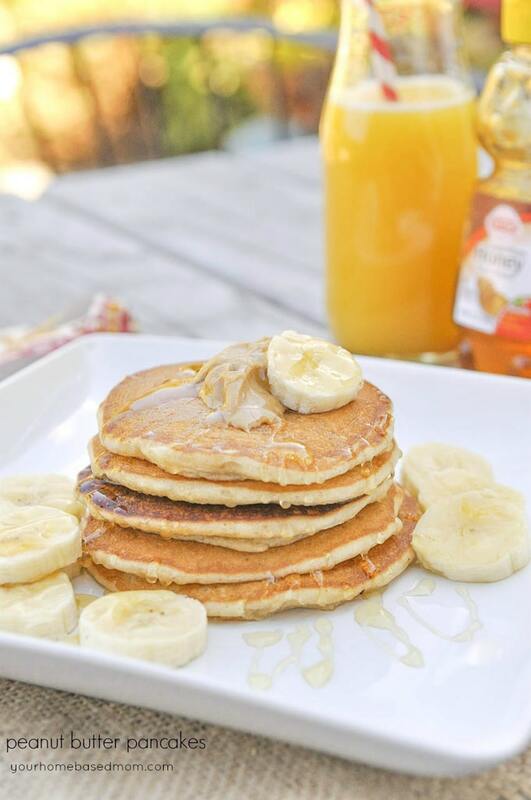 Is there a way to add pumpkin flavor to this recipe? How did u make your mashed taters? Does it matter what you put in the taters? I make mine pretty fattening. Butter, mayo, milk. Worried they might be too creamy for this recipe. 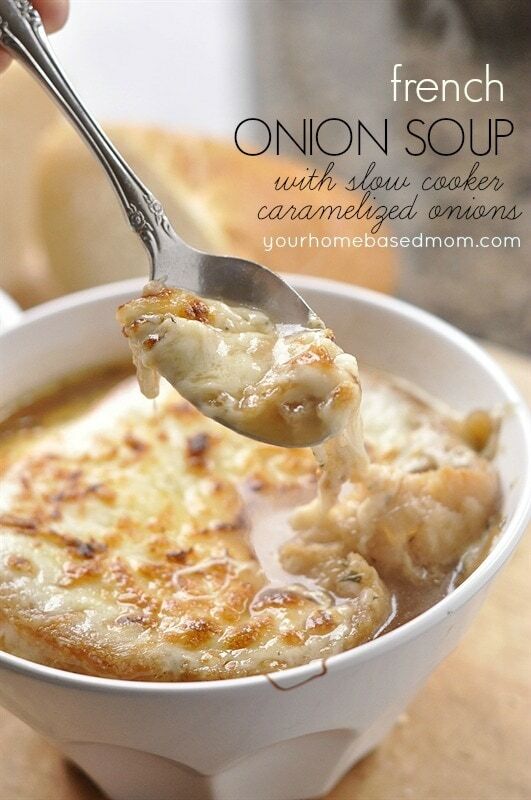 Looking forward to making these. They look so soft and scrumptious.